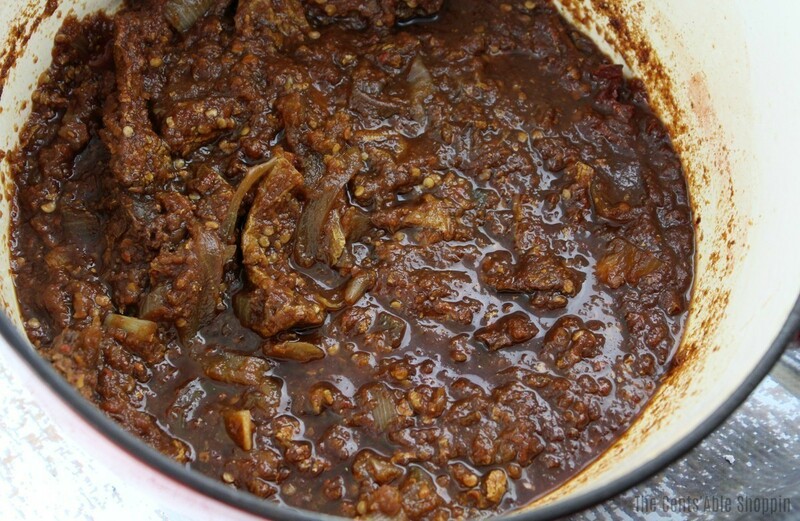 Many people use chipotle peppers in adobo sauce for a variety of recipes. While my kids and I love them added to recipes, my husband doesn’t care for them all too much – that doesn’t mean I don’t use them though. I just use them in moderation. They are, after all, pretty powerful. They are easily added to soups and sides, and give a really smoky punch of heat and flavor to so many dishes. Chipotle peppers are basically red jalapeños that have been smoked and dried. Jalapeños that are kept on the plant to ripen will eventually, at their last stage, turn a really bright red. Once they are red, pick them off. If you don’t have red jalapeños this year, then don’t worry – because we don’t either. 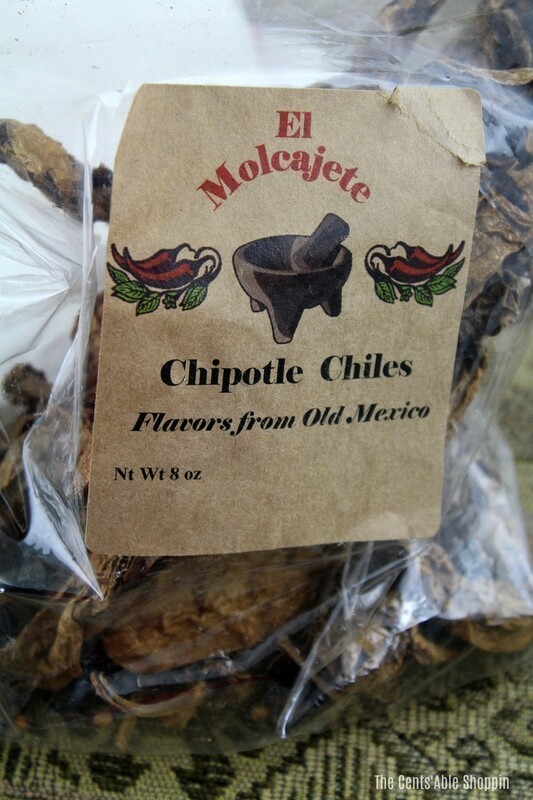 You can pick up El Molcajete Chipotle Chiles on Amazon, or look in your Latin Market for dried chipotle chiles. Our local Mexican market has a small 1.5 oz bag for $2.00, and while I haven’t used their dried chipotles yet, theirs don’t have as much flavor when you hold the bag up to your nose. Meco Chipotle Chiles on Amazon are much more pungent and flavorful than the dried chipotle chiles you will find in your market, but if the market is more convenient for you then by all means, go that route. These chiles smell incredible – I wanted nothing more than to keep sniffing the bag. By preserving your own chipotle peppers, you won’t get all the corn syrup and salt, even preservatives that you get in the chipotle peppers you buy canned in store. I also like to think it’s a little cheaper, long term, when you make your own. First, wash your chipotle peppers, remove the stems and place them in a pot of boiling water with 2 quarts of water (more or less). Weigh those peppers down with a plate to keep them submerged. We set plate on top of our peppers and weighed down the plate with a 2 quart canning jar that was full of beans. 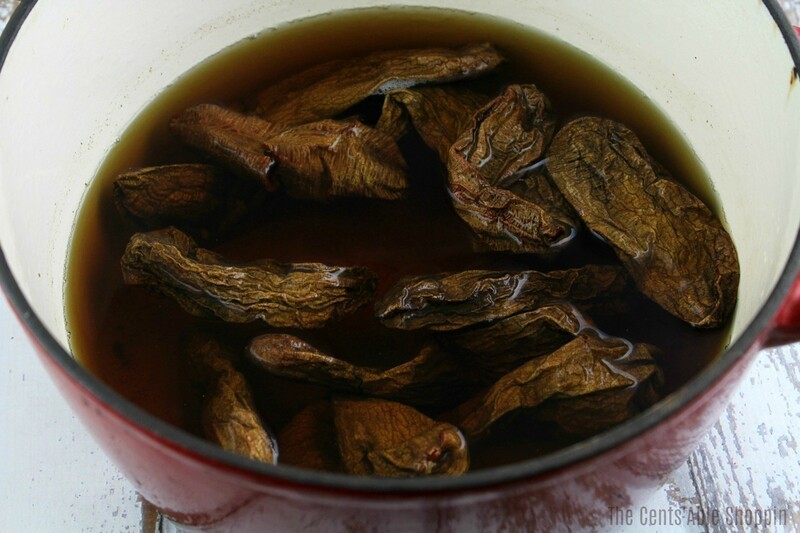 Allow the chiles to sit there and soak for 30-40 minutes until soft. 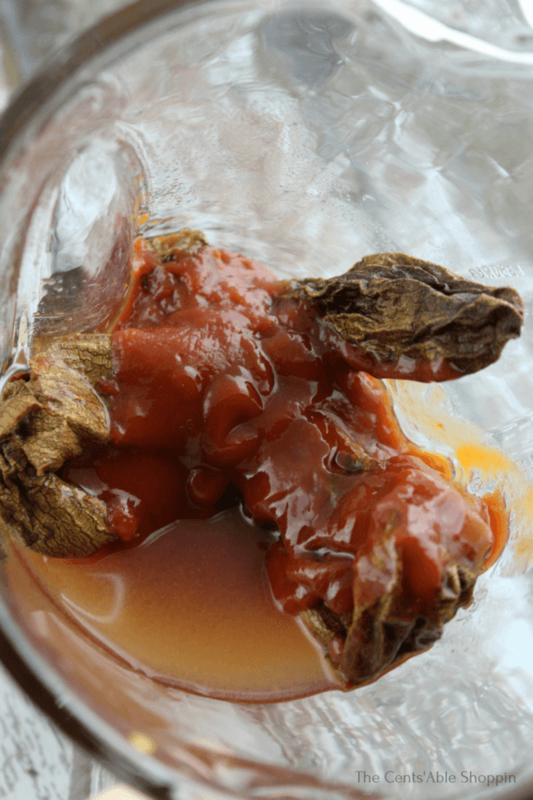 Remove 4-5 of the chipotle chiles and put them in the blender with the ketchup or tomato puree, garlic and 1/2 C. water. Blend them until they are a thick paste. Pour the blended chipotles into the pot with the rest of the chiles that are rehydrating. Add the salt, vinegar and onions to the pot and give it a good mix. Bring the mixture to a boil and then reduce the heat and allow the contents of the pot/pan to simmer for at least an hour. If they dry out too much then add a little extra water. Divide up the chiles and freeze in freezer friendly containers. You can use an ice cube tray or a silicone tray like this here – you’ll want to freeze one or two in each cube because most recipes only call for 1-2 at a time. Once frozen, transfer to a ziploc bag and store in your freezer. Avoid high fructose corn syrup, salt and other preservatives that are in canned chipotles by learning how to make your own homemade chipotle peppers in adobo sauce. First, wash your chipotle peppers, remove the stems and place them in a small pot - add boiling water just enough to cover. Weigh those peppers down with a plate to keep them submerged. 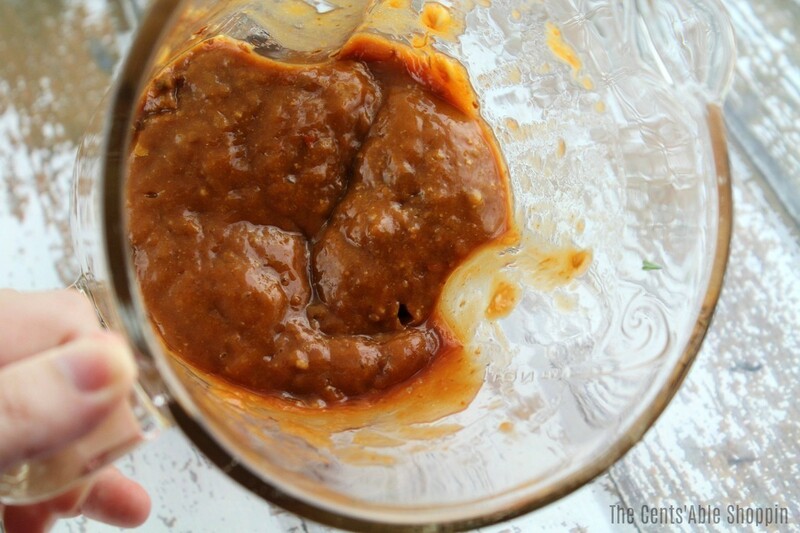 Remove 4-5 of the chipotle chiles and put them in the blender with the ketchup or tomato puree, and 1/2 C. water. Blend them until they are a thick paste. Pour the blended chipotles into the pan/pot with the rest of the chiles that are rehydrating. Add the garlic, salt, vinegar and onions to the pot and give it a good mix. 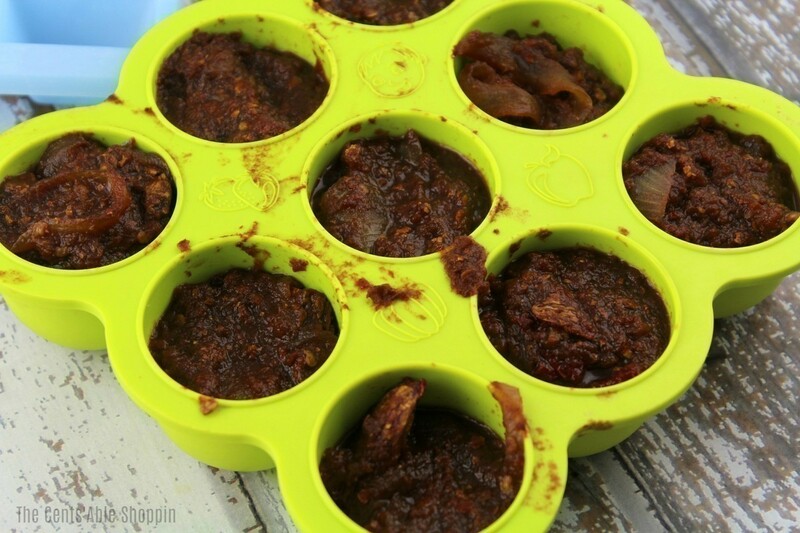 Divide up the chiles and freeze in freezer friendly containers. 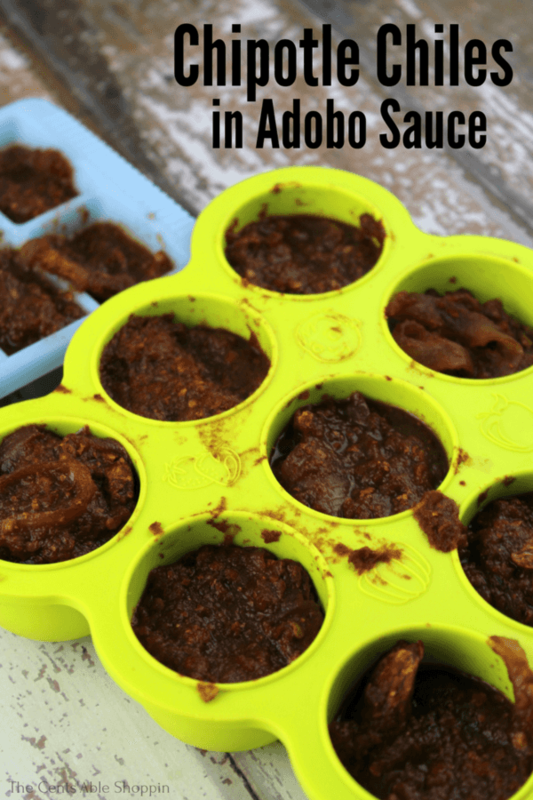 You can use an ice cube tray or a silicone tray like this here - you'll want to freeze one or two in each cube because most recipes only call for 1-2 at a time. Have you ever made your own chipotle peppers?